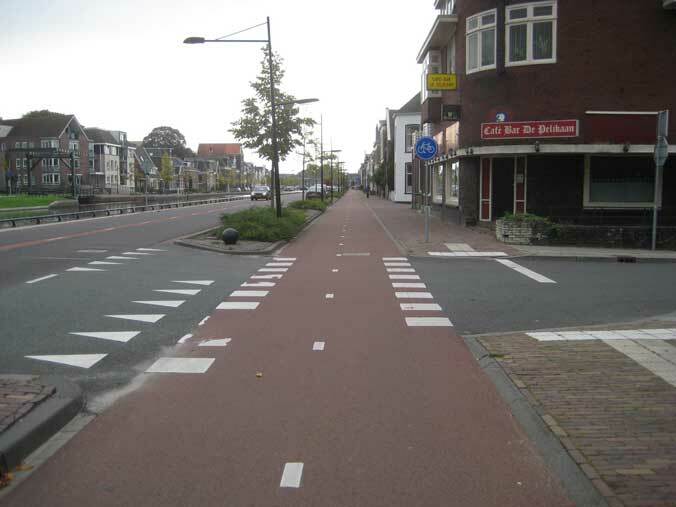 It doesn't really matte if the infrastructure helped the Netherlands. It will help UK simply because this is what people want - a direct and uninterrupted way to work. I ride a couple of segregated tracks on my way to work and it saves me a lot of time and hassle simply because I don't have to go around car traffic. Thus I am very happy that LCC decided to listen to the members instead of preaching the word of John Franklin. cycling campaigners who, themselves, are happy to cycle fast in heavy traffic fail to imagine how that feels to less confident, slower cyclists. - there's plenty of space to build it (mostly up gloucester place, with no business frontage) - and the existing road already limits turns..
- it will surely be heavily used once in place, which is vital for a proof of concept.. 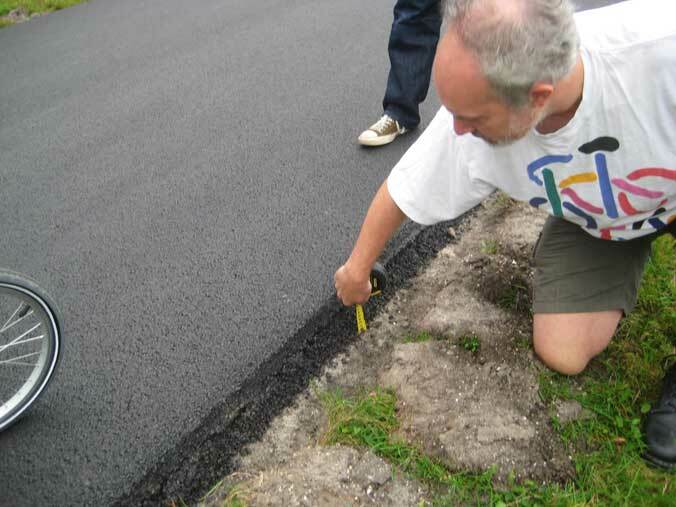 The visible infrastructure is evidence of political will to invest in cycling. That has only come about because politicians believe that they have public support for that spending. Whilst we are devoting effort to convincing highways engineers and politicians of the case for investment in infrastructure, elected representatives will only show real commitment when they are confident that the likes of the Daily Mail won't accuse them of wasting money (or frittering away funds that could have gone to hospitals/schools/the police/pensionerss/the armed forces/etc.). I am in complete support of building better cycle infrastructure and cycle ways. What we shouldn't forget though is the benefits to pedestrians. By having a fully integrated cycle infrastructure it would mean that the bike doesn't come into so much conflict with pedestrians, for example riding on pavements which weren't built for cycles.It would also need cyclists to improve their behavior and to use the total infrastructure completely, there are still too many cyclists who jump red lights for example. 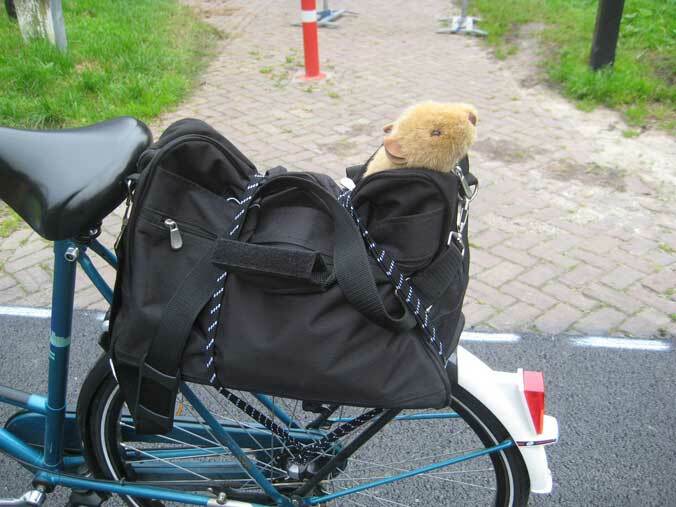 There was an article recently in Dutch newspaper, NRC Handelsblad, about ways to increase bicycle use on longer distances, for no other reason than to relieve traffic congestion on motorways. 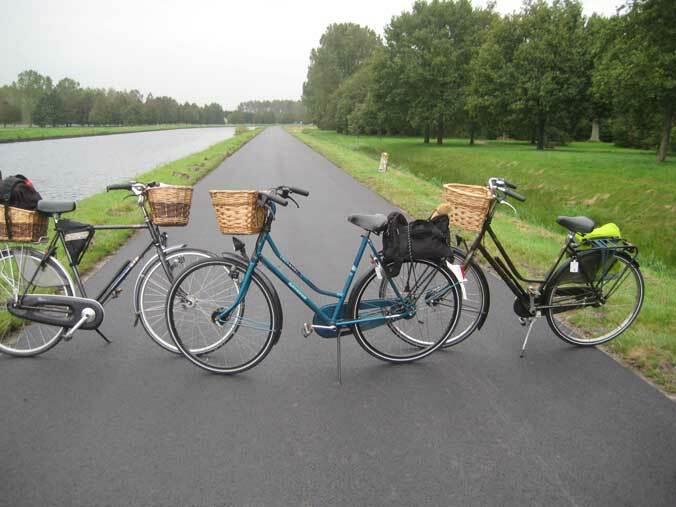 One traffic planner pointed out that there was for instance a direct wide cycle path between Zoetermeer, a suburb of The Hague, and Utrecht, about 50 km. No crossings with motorways, all straight on. There's another one between The Hague and Leiden, and several more in less congested parts of the coutry. The only reason why people hesitate to use these for commuting is distance (and headwind as you never seem to have a tailwind), so this planner set his hopes on electric-assist bikes, the sale of which is booming. More of such cycle highways will be created in the near future - it's a lot cheaper than building extra motorways. 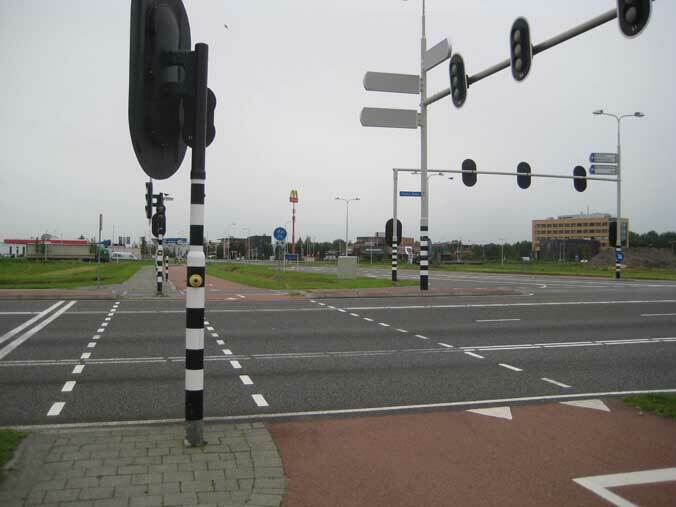 The cycle crossing in front of this school in Assen demonstrates another characteristic: traffic education to drivers. Cyclists should give way to cars, as shown by warning signs (the usual situation here). Yet most drivers give way to these children; the lorry coming from the left even hoots shortly to signal that they should move on. 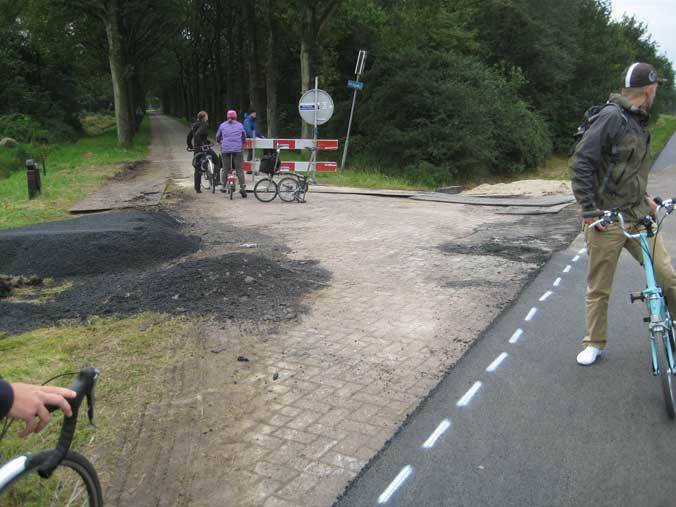 It shows that even while cyclists are "banned" to separate infrastructure, drivers consider them not as the enemy or competitors for road space, but as co-users of this space. I live in Assen but never noticed so many things that you and your embassy show in your photos and videos. We seem to take too much for granted.